Skoda is offering two new special edition versions of the Rapid with as much as £3665 worth of extra equipment. Priced at £12,990 the Rapid Connect comes with a 1.2-litre TSI with 86PS and comes with plenty of extras. These include 16-inch alloy wheels, rear parking sensors, sat-nav and DAB radio. Two colours are available – brilliant silver and denim blue. 800 examples are available in the UK. 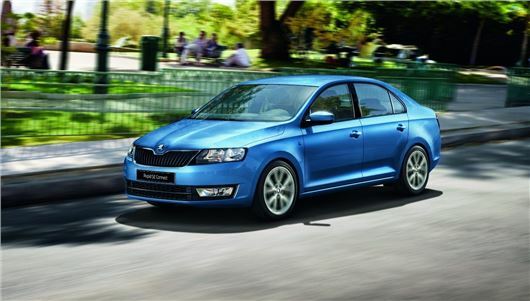 Additionally Skoda is offering the Rapid Sport, a limited edition model restricted to 200 models. It features a 105PS 1.2 TSI engine and £1250 of extras, including black alloy wheels, sunset glass, sports seats and steel pedals, plus black mirrors and a black spoiler. The Rapid Sport is priced at £15,630 and is only available in candy white.